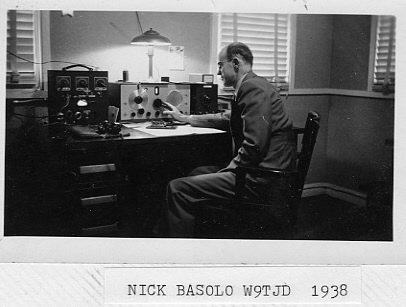 Sometime between the invention of the telegraph and the invention of the Internet came ham radio. 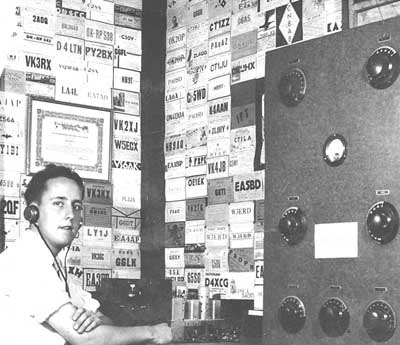 Around the time that Radio Girl takes place ham, or amateur radios were one of the most popular hobbies, especially for teens. Teen in his ham shack. Never before could just any random kid talk to people all over the world, unless they had pen pals. And that took weeks for a reply, whereas this was as good as immediate. 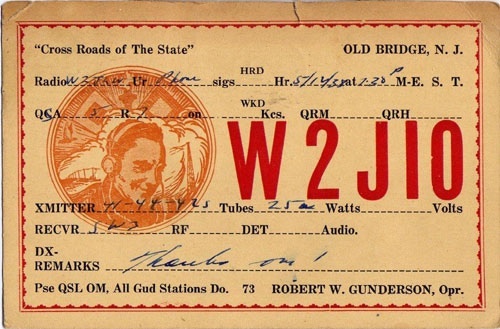 If you were a ham operator (and there are lots of people who still use ham radios today) you would have your own call sign made up of letters and numbers, kind of like a screen name. I found these cards for sale on a popular web auction site. 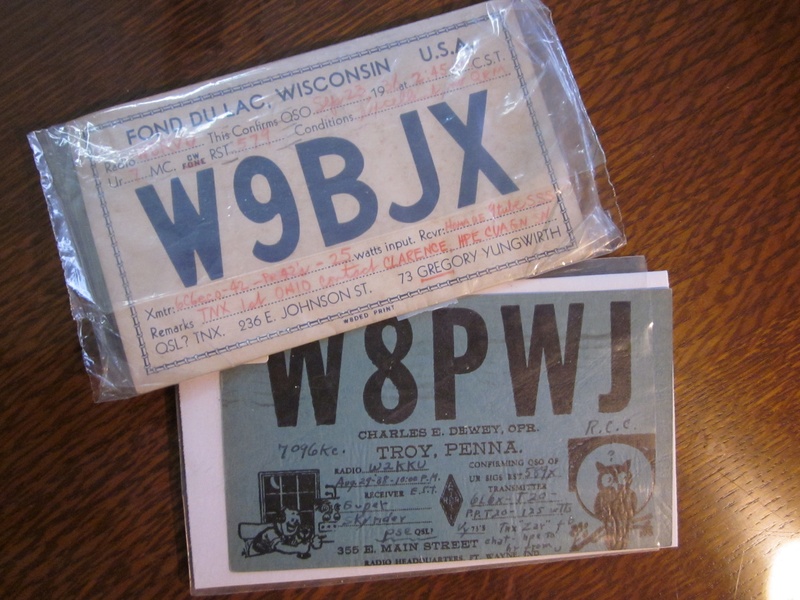 After connecting with someone through the airwaves, the two of you would exchange postcards called QSL cards through the mail, cards with the ham’s code and other information on it, plus sometimes some artwork. Most hams plastered the walls of their ham shack with cards they had received, just like T.K. does in the book. Some guy who doesn’t have a display of QSL cards for some reason. 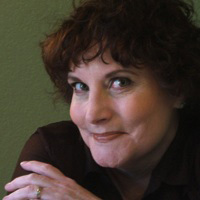 Carol Brendler is the author of the young adult novel RADIO GIRL (Holiday House) September 5, 2013. Coming 2014: A picture book, NOT VERY SCARY, illustrated by Greg Pizzoli, from FSG. Also by Carol Brendler: WINNIE FINN, WORM FARMER (FSG, 2009) a picture book illustrated by Ard Hoyt. I need to read more about ham radios. I wonder how long the fad lasted. My older brother was interested in that for a bit. It’s still a hobby today but as for how long it was a *fad* I’m not sure. You’d think the internet would have been the end of it.